Before delivering a presentation, it is recommended to disseminate prints to the audience, so they can eventually take notes for each slide while they follow the presentation. 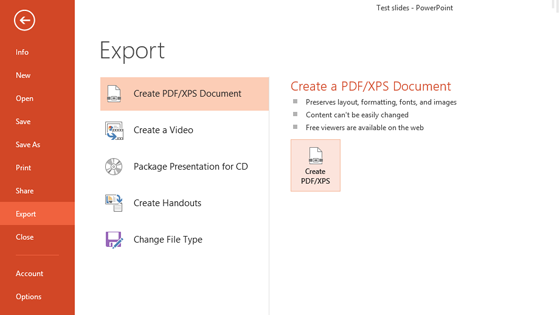 In this guide you will read how to configure settings in the Handout Master (which is part of the Microsoft PowerPoint product) and the two options regards to creating handouts. 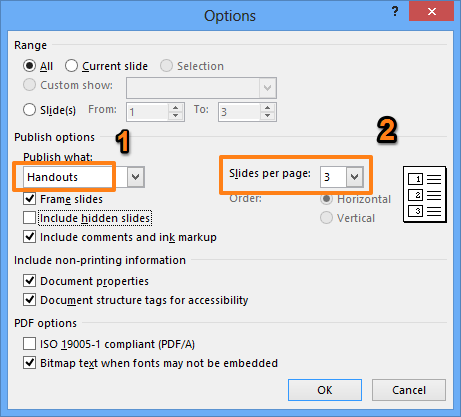 Before proceeding with explaining the options, let’s take a look at Handouts Master – it is a place where you configure all options regards the handouts such as: handout orientation, slide size, slides per page, header, footer, page numbers, themes and other things. 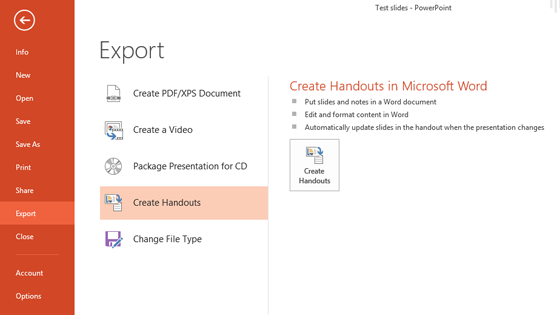 In the PowerPoint go to View and then click Handout Master. Adjust the options as necessary. First go to the File menu -> Export -> Create Handouts. Click “Create Handouts”. 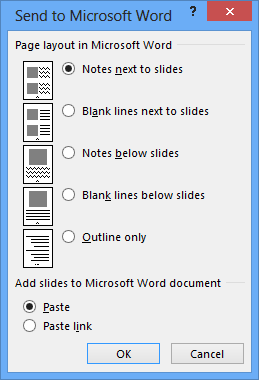 If you want the Word document to be updated each time you make changes to the PowerPoint slides, choose “Paste link” option before clicking the OK button. 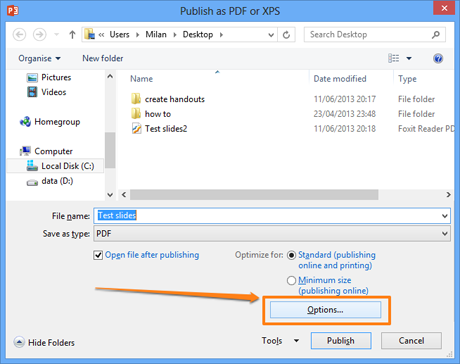 If you don’t plan to edit handouts in Word, then maybe the easiest way is to create handouts by publishing the slides as a PDF document. Click OK and you’ll see the layout within your default PDF reader. You may either print this file or distribute it through email.